When Can an Officer Blow the Whistle? What should corporate officers do when considering whether to become a whistleblower and disclose possible illegal conduct at their employer? It is well known that corporate officers owe certain fiduciary duties - including a duty of loyalty - to their corporations and shareholders. But what do those duties require when the officer discovers that others within the organization are engaging in possible violations of the federal securities laws? Clearly, the new SEC Whistleblower Program provides new and powerful incentives for corporate officers to report violations of securities laws to the SEC. At the same time, and as with any agent/principal relationship, officers owe certain fiduciary duties to their employer, duties that have been described as identical to those owed by corporate directors. The SEC defines an officer as "a president, vice president, secretary, treasurer or principal financial officer, comptroller or principal accounting officer, and any person routinely performing corresponding functions with respect to any organization whether incorporated or unincorporated." Thus, any employee falling within that definition has the duty to always act with the best interests of the corporation in mind and must never act out of self-interest or self-dealing. How do these increased duties affect how a corporate officer's can report illegal activity by others in the organization? Ordinarily, when an officer perceives that the corporation is engaged or is about to be engaged in a significant violation of law, the legally safest approach - for any employee - is reporting the matter to one's supervisor or, for a senior officer, to the corporation's board of directors, or a committee of the board to which the officer reports. This requirement to report internally is explicitly set forth in Section 8.42(b)(2) of the Model Business Corporation Act. It states that an officer's duty includes the obligation "to inform his or her superior officer, or another appropriate person within the corporation, or the board of directors, or a committee thereof, of any actual or probable material violation of law involving the corporation ... that the officer believes has occurred or is likely to occur." As the official comment to that section states, the duty to report material wrongdoing to a supervisor is simply part of any agent's duties to his or her principal. But although rare, there may be circumstances where internal reporting is inappropriate due to the nature of the alleged misconduct and those involved. For instance, if the misconduct is widespread and implicates senior corporate leadership or there are other exigent circumstances, reporting internally may be ineffective and possibly dangerous to an officer's career. Generally, potential whistleblowers are in the best position to determine whether their organizations have effective reporting systems. That being said, virtually every sophisticated organization has multiple reporting avenues, and officer whistleblowers are strongly encouraged to carefully evaluate their options, with the assistance of legal counsel. It is when the internal reporting system breaks down that the most serious problem for officers arises: the officer reports misconduct through the appropriate channels, but the report is ignored or the response is otherwise inadequate. In that situation - and also when the officer has a reasonable belief that reporting internally will be inappropriate or futile - the officer must determine whether to report the matter to an outside party, such as the SEC or another law enforcement authority. It is here that the officer's fiduciary duty of loyalty intersects with the potential for an SEC whistleblower award. Would the officer's duty of loyalty prohibit him or her from reporting the misconduct to the SEC, where such reporting is at least partly motivated by the hope of receiving a monetary award? For several reasons, the most likely answer is "no." The duty of loyalty does not prohibit self-interested conduct by officers; it simply prohibits such conduct if it unfairly affects the corporation. Yet, in at least some cases, external reporting will actually be in the best interest of the corporation: while a whistleblower submission could lead to an eventual enforcement action against the corporation, it might result in substantially smaller sanctions and related private settlements than if the officer remained silent and the illegal conduct was allowed to continue and grow larger. Related to that, adverse effects on the corporation's reputation might be minimized by limiting the reach of corporate misconduct. Moreover, where an officer has attempted to use internal reporting channels to address the problem, the officer has given the corporation an opportunity to act, which undercuts a claim that the officer's conduct has been motivated by self-interest. Thus, by encouraging whistleblowers to use internal reporting mechanisms before reporting to the agency, and by potentially increasing the amount of any whistleblower award where an internal reporting system is used first, the whistleblower rules work together with state fiduciary duties to create the right result and to reward corporate officers for doing the right thing. 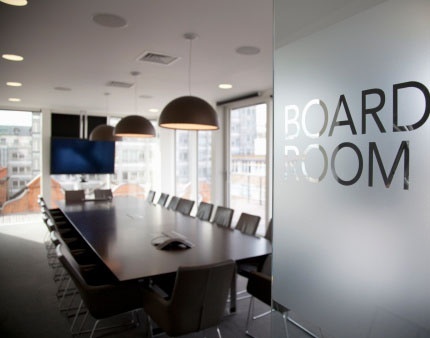 In most cases, potential officer whistleblowers should report possible securities violations to their superiors or the board of directors (or a board committee) in accordance with the corporation's internal procedures. Compliance with the federal securities laws is promoted when individuals and entities work together to root out wrongdoing and discipline those responsible. When internal reporting is ineffective (or possibly even inappropriate) and whistleblowing is the best course of action, officers should consult independent counsel regarding the risks, rewards, and procedures associated with reporting possible securities violations to the SEC. In addition, although the implementing rules for the SEC whistleblower program only require a whistleblower to have a reasonable belief that a possible securities violation has occurred, is ongoing, or is about to occur, potential officer whistleblowers should attempt to confirm the existence of a violation before reporting to the SEC. This practical step will help prevent unnecessary external reporting and minimize the risk of any adverse ethical or legal determinations. Finally, for those who fear retaliation, it may make sense to report possible securities violations anonymously to the SEC with the assistance of counsel. In the end, officer whistleblowers are likely to be rare, and their existence will reflect a fundamental breakdown in corporate governance. For the full PDF version of this article, click here.